New Thrivent Med Supp State Available for Sale in Florida! Special Announcement: Thrivent Medicare Supplement Insurance is Now Available for Sale in Florida! To download current brochures and materials, please visit your Agent Portal at https://aiatpa.agentxcelerator.com/. Log in using your producer code. eApplications make submitting business fast and secure. Simply log into your Agent Portal and click on the 'Start or continue an eApp' link. Ordering paper supplies is easy! For more information on how to order and track supplies, refer to your agent guide. Now that you have heard the buzz, let's get down to work! Mutual of Omaha will be in the market this fall with their new Medicare Advantage product in the Cincinnati/Northern Kentucky and San Antonio markets and a Prescription Drug Plan product available nationwide, except New York and the U.S. territories. Click on the links to view more details. Here’s what you need to know so you don’t miss out on these great opportunities. If you are currently contracted to sell our Medicare supplement product contact your marketer about being contracted to sell Medicare Advantage underwritten by Mutual of Omaha Medicare Advantage Company (MOMAC) and/or Prescription Drug Plans underwritten by Omaha Health Insurance Company (OHIC). Links to the AHIP certification can be found on Sales Professional Access (SPA) www.mutualofomaha.com. Select: Product – Medicare Solutions – Sales Tools – Product Education – AHIP Training. Receive a $50 discount when completing this training through the Mutual producer portal. Select: Product – Medicare Solutions – Medicare Advantage – Under Product Training click on 2019 Product Training. In order to access the training link, in the state drop down box you must select either Ohio, Kentucky or Texas otherwise the link will not appear. Select: Product – Medicare Solutions – Prescription Drug Plans – Under Product Training click on 2019 Product Training. The training link can be accessed when selecting any state except New York. MA and PDP training is not state specific. Regardless of the state selected to access the training links, there is only one MA product training module and one PDP training module. Product training links are only accessible to agents who have signed and submitted the MOMAC/OHIC contract. When accessing the training links, an agent must have a SPA login account that was established with their Mutual of Omaha personal production number. For corporate entities, the principal must complete the training and MUSThave a SPA login account that was established with their Mutual of Omaha personal production number. Training cannot be taken via a SPA login account established with the corporation’s production number. Allow adequate time to review the training materials and complete the test. Once you begin the training you MUST complete it. You cannot save it and return at a later time to finish.Also, if the system is left idle for a period of time it will timeout and that will be considered an attempt. Medicare Advantage enrollment kits will be available to pre-order in early September with delivery the last week of September. For all Ready to Sell producers as of Sept 15, Mutual will auto-fulfill an order for five PDP enrollment kits with delivery the last week of September. Watch Express for further details on ordering additional marketing materials. Don’t miss out – October 1, is just around the corner. At times, it is necessary to make adjustments to products in order to ensure long-term value for you, your clients, and AIG. For this reason, after a review of our Guaranteed Issue Whole Life (GIWL) product, we will be making the following changes. These changes will apply to all applications received on or after 5PM CST, September 14, 2018. • Rates: GIWL rates will increase at varying percentages depending upon age and face amount. However; even with this change, our rates will remain competitive in the marketplace. • Chronic Illness (CI) Benefit: The maximum amount available for acceleration will be adjusted from 50% of the face amount to 25%. Please see important details in the bulletin. Above changes do not impact any previously issued policies. With the AEP right around the corner, now is the time to make sure you are aligned with the right partner. PSM is your one-stop-shop for all the resources you need to ensure a successful AEP. Whether it be a strong portfolio of the industry's leading companies, free quoting and sales technology to increase your sales, or discounts on AHIP training / lead generation, we've got you covered. Request Information today and we will gladly make sure you are on our list to receive updates. We would also encourage you to call 800-998-7715 and speak with one of our marketers to discuss ideas and we can personalize our services to benefit your business. 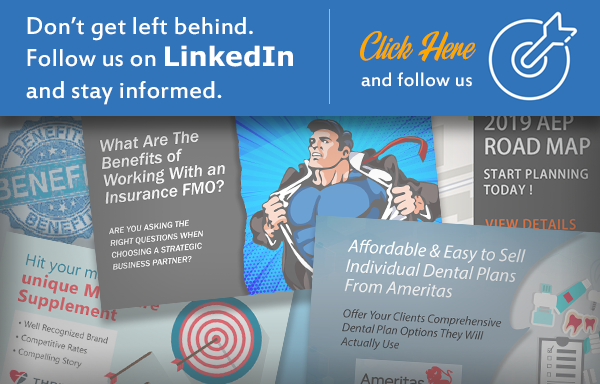 Offer your clients comprehensive dental plan options at an affordable price. We are excited to offer Ameritas' suite of Individual Dental Plans. Ameritas offers you tremendous selling power with one of the nation's largest dental networks, an award-winning customer service team and a quick and easy enrollment process for your clients. Request Information today on this new and exciting opportunity. Contracting can be done online in just a few minutes! The senior insurance market is always changing. Follow us and stay up to date on the latest industry news and updates, as well as some of the leading resources and products available in the senior market. 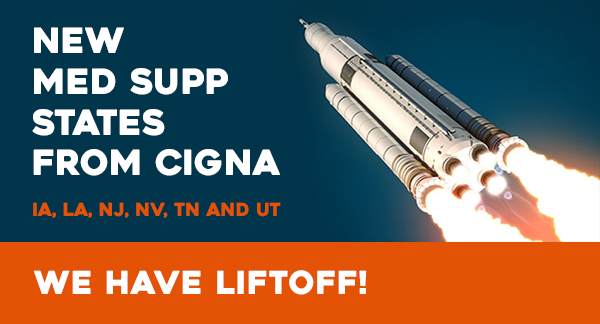 We are excited to announce that Cigna will be releasing their new Medicare Supplement plans insured by Cigna Health and Life Insurance Company (CHLIC) in IA, LA, NJ, NV, TN and UT. Request details today on this exciting opportunity. CHLIC Med Supp is now available in the following states: AL, AZ, CO, CT, GA, ID, IN, IL, KY, KS, MD, MI, MN, MO, MS, NC, OH, OK, PA, SC, SD, TX and WI. 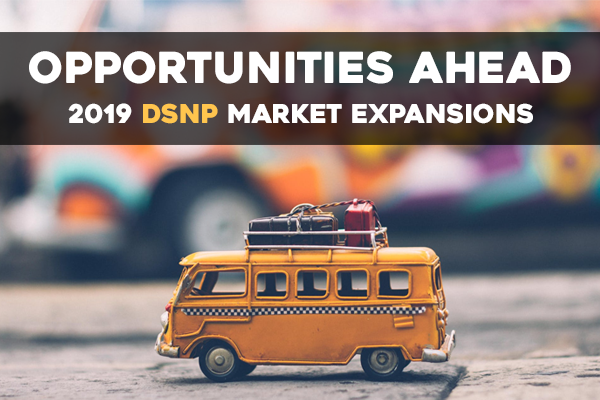 The DSNP Market Continues to grow! Jump on board and learn about all the exciting opportunities available for 2019. If you are not currently selling in the DSNP market, you could be missing out on a great way to grow your Medicare business. Special Needs Plans continue to be one of the fastest growing areas of Medicare Advantage and agents play an important role in helping consumers better understand their options. Learn more about the opportunities available and how this could be a BIG part of your business going forward. PSM has access to everything you need from a strong carrier portfolio, details on 2019 plans expansions, as well as the knowledge to assist you in how to best present DSNP plans. PSM is proud to offer industry-leading technology for online enrollment of MA and PDP sales at no cost to you. With the market shifting to telephonic and electronic enrollments more and more each year, it is important to stay ahead of the curve. Request details today for more information on this exciting technology. Many of our agents have nearly doubled their sales with the integration of this online submission platform. Don’t wait, AEP is right around the corner and now is a great time to bring your business into the future. Request Details today and we will help you get started. A leader in senior health solutions, Mutual of Omaha will offer Medicare Part D prescription drug plans to seniors across the country, the company announced. Medicare Part D plans will be available in 49 states beginning with the 2019 plan year. 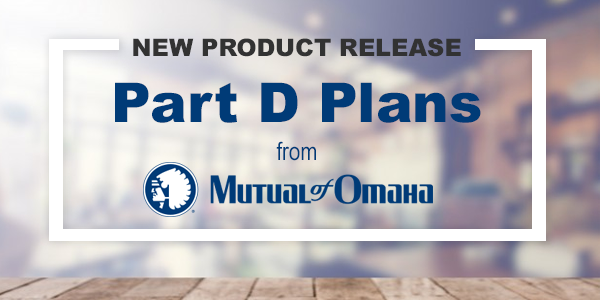 Two Part D plans – the Mutual of Omaha Rx Value plan and the Mutual of Omaha Rx Plus plan – will be introduced in conjunction with the Medicare open enrollment period that begins on Oct. 15. Request details today and make sure you have this competitive PDP product available this AEP. UnitedHealthcare Medicare Solutions is amending its agent/agency contracts. We strive to provide unmatched value and a distinctive experience for you and our members. The annual 2019 Medicare Advantage and Prescription Drug Plans commission schedule for applications with effective dates on or after January 1, 2019, is available. The annual 2019 Medicare Supplement Insurance Plans commission schedule for applications with effective dates on or after January 1, 2019, is available. New commissionable plan in Tennessee: UnitedHealthcare Dual Complete ONE (H0251-004) will be commissionable for applications signed on or after September 7, 2018, in Tennessee. The following plans will be non-commissionable for applications with effective date of January 1, 2019 or later. The Kaiser Family Foundation (KFF) released a data note on the Medicare Part D coverage gap, commonly referred to as the “donut hole.” When Congress expanded Medicare to cover prescription drugs by adding Part D, they built in a coverage gap that made drug coverage disappear when people reached a certain spending level, then reappear when they hit another threshold. This donut hole left many people with Medicare struggling to afford their medications for at least part of the year. Since that initial design decision, Congress made changes to reduce the impact of the donut hole. The Affordable Care Act (ACA) required drug manufacturers to give significant discounts while people were in the gap and began a phase-in of a federal subsidy for beneficiaries. The ACA gradually decreased the percentage that people with Part D are responsible for and planned to close the gap in 2020 for both brand-name and generic drugs. However, the gap for brand-name drugs will close one year sooner because of legislation—the Bipartisan Budget Act of 2018 (BBA)—passed early this year. Starting in 2019, this legislation makes the transition into the coverage gap for brand-name drugs seamless for people with Part D by decreasing their financial burden and requiring more financial support by pharmaceutical manufacturers. The coverage gap for generic drugs will still close in 2020. Importantly, closing the coverage gap eases but does not eliminate problems of drug affordability for people with Medicare. The underlying high drug costs mean that more and more people are reaching the spending thresholds that trigger the donut hole. Once they spend enough in the donut hole, they reach yet another level called “catastrophic coverage.” In catastrophic coverage, people’s out-of-pocket responsibilities seem low at 5%, but they do not have a cap. This means that very expensive drugs are a huge burden to beneficiaries. The KFF data note breaks down the number of people with Part D who reach the various levels of coverage, what their average spending is, and how beneficiaries, drug manufacturers, drug plans, and the federal government split up the responsibility for various charges. Importantly, the note discusses the implications some future policy decisions may have on people with Medicare, including calls from manufacturers to decrease the amount they pay or proposals from the Trump Administration that would sharply increase the money people with Part D must spend. This change in particular would have significant, negative implications for people with Medicare. Medicare Rights seeks to keep the BBA reforms in place and opposes any policies that would reopen the donut hole or increase out-of-pocket expenses for beneficiaries. 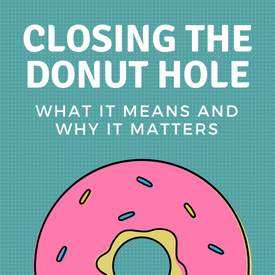 Read the Kaiser Family Foundation’s donut hole data note. Read more about drug affordability. 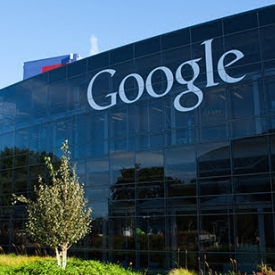 "Today, we are announcing Alphabet's plans to invest $375 million into Oscar Health," said Mario Schlosser, co-founder and CEO of Oscar Health. "Oscar will accelerate the pursuit of its mission: to make our healthcare system work for consumers. We will continue to build a member experience that lowers costs and improves care, and to bring Oscar to more people -- deepening our expansion into the individual and small business markets while entering a new business segment, Medicare Advantage, in 2020." MA has seen strong earnings for insurers. UnitedHealth Group, Humana, Aetna, Cigna, Anthem, Centene and numerous Blue Cross Blue Shield plans are in the MA market, contracting with the federal government to offer the private plans. Oscar is also in the Affordable Care Act market. However, the insurer has struggled to turn a profit, according to Politico. For more than a year, insurers have been sizing up the coming shift with Medicare Cost plans, a specific type of coverage that’s distinct from Medicare Advantage plans that are more common outside Minnesota. This summer, insurers that sell Medicare Cost plans are sending several hundred thousand letters to consumers about the transition. There’s no change to coverage in 2018, they point out, while stressing that details about 2019 options aren’t yet available. In the 1970s, the federal Medicare health insurance program for people age 65 and older started signing contracts with managed care plans on a cost-reimbursement basis, creating a private health plan option for some benefits. Health plans in Minnesota were among the carriers that opted to introduce Medicare Cost health plans, and they maintained the coverage even after the federal government in the 1980s launched a different program that’s now Medicare Advantage (MA). 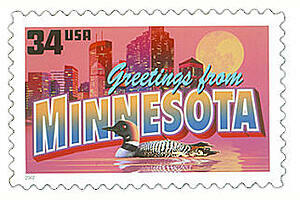 Minnesota is one of the few places where this is a big deal. We’re excited to announce Aetna’s renewed relationship with UPMC. Click here to read the full story. Aetna employs about 6,500 people in Pennsylvania and is proud to have been serving its communities since 1890, providing choice and access to care with competitive health care plans and Medicare Advantage plans. Aetna’s multi-year contract with UPMC ensures Aetna’s continued stability in the community and commitment to providing all Aetna Commercial and Medicare Advantage members in Western Pennsylvania access to their choice of more than 19,000 doctors and 73 hospitals in the region, whether UPMC, Allegheny Health Network, or local community hospitals. FOR AGENT USE ONLY. Not intended for consumers. Eligibility based on producer Thrivent® Medicare supplement insurance production submitted Aug. 1, 2018 to Jan. 31, 2019 with effective dates Aug. 1, 2018 to Feb. 1, 2019. Minimum production of 40 issued policies from Aug. 1, 2018 to Jan. 31, 2019 required with the top 10 producers qualifying. Thrivent Builds trip to Sebring, Florida to participate in Habitat initiative. a. Producer and guest of their choice invited (guest must be 16 or older). b. Expense of trip and roundtrip airfare paid for both producer and guest. c. Trip includes weekend at Tampa/Clearwater Beach resort with activity selections. selected from Thrivent Choice® catalog. The Medicare program continues to offer sustainable, long-term growth and opportunities. Over 75 million individuals are expected to be enrolled in the Medicare program by 2027. This means that roughly 17 million more individuals will be added to the Medicare program over the next 10 years, a 29% increase. Beyond 2027, an additional 11.5 million are projected to be added by 2040. 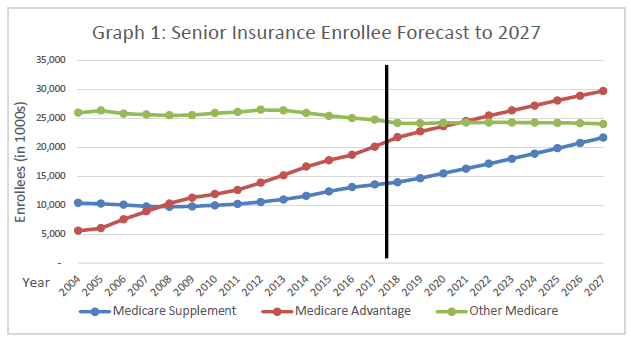 CSG Actuarial research indicates Medicare Supplement enrollments will continue to grow at a rate exceeding Medicare enrollment growth over the next 10 years, creating ever-increasing opportunities for insurance carriers, agents and marketing organizations in the Medicare Supplement market. Med Supp market share for Plans G and N continues to increase. In 2017, Plans G and N made up over 22% of the lives in the Med Supp market, up from only 5% in 2010. A large portion of the growth in market share for Plans G and N is at the expense of plans providing first-dollar coverage. 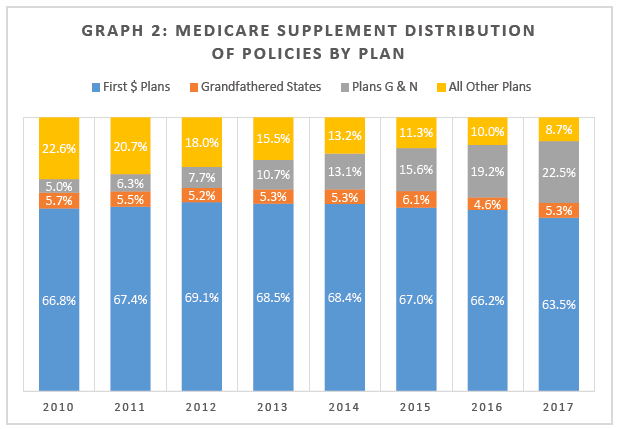 The annual growth rate of Medicare Supplement beneficiaries slowed in 2017 following two years of the highest rates of increase in recent years. 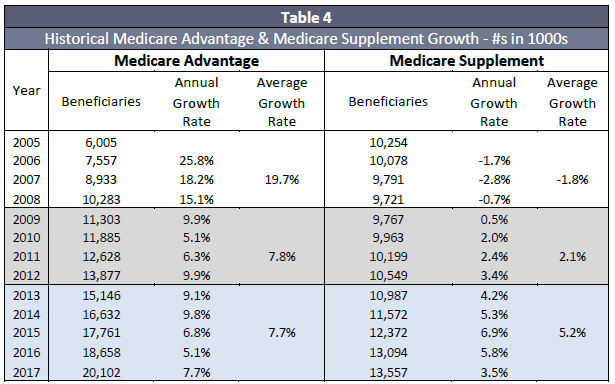 Much of that slowdown was claimed by Medicare Advantage products, with the annual growth rate of Medicare Advantage beneficiaries increasing to 7.7% for 2017. This is likely due to higher average Medicare Supplement rate increases for 2017, and to the moratorium on the “ACA Fee” for 2017. This fee is intended to help fund the provisions of the Affordable Care Act, and must be paid by Medicare Advantage carriers. Medicare Supplement business is exempt. Various estimates suggest that premiums are generally 2-3% higher due to this fee. 1. The number of Medicare beneficiaries has grown by about 28% since 2008. 2. Employers have continued to remove Medicare-aged retirees from their employer health plans, with some providing them with a stipend to purchase individual coverage. 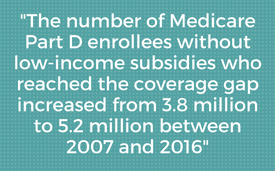 These actions have resulted in a steady decline in the percentage of Medicare beneficiaries without a Medicare Advantage or Medicare Supplement plan, including in 2017. The number of Medicare beneficiaries without one of these products has remained fairly flat for over a decade, even as the beneficiary count has climbed. 3. Relatively low increases in average Medicare Supplement premiums have been observed in recent years. This is likely driven by a shift to more Plan G and Plan N, by lower medical trend rates compared to historical averages, and by competitive pressures in the market as more new entrants attempt to gain market share. 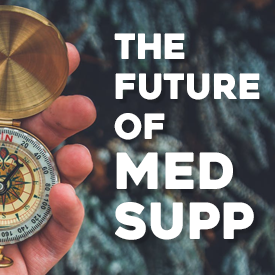 These factors and our expectation of the degree to which they would continue were included in the development of CSG Actuarial’s Medicare Supplement market projection. Thousands of seniors with Highmark’s Medicare Advantage plans will lose in-network access to UPMC hospitals a year earlier under a Wednesday state Supreme Court decision than they would have under a lower court’s ruling. 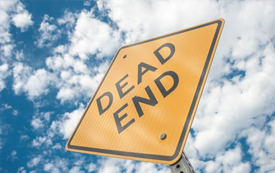 Seniors with the plans will lose in-network access at the end of June 2019, when a state-brokered consent decree between the two health care giants expires. A Commonwealth Court judge had interpreted the consent decree to mean UPMC would have to continue to accept the insurance through June 2020. Doctor visits and hospital services typically cost much less when the doctors and hospitals are in an insurer’s network than when they aren’t. Seniors with Highmark Medicare Advantage plans who see UPMC doctors will have to either switch doctors or pay much higher prices to see their UPMC doctors as of next July. Or they can switch insurers during the open enrollment period for the plans, which will run from Oct. 15 to Dec. 7, to pick a plan that includes their UPMC doctors and hospitals. Some Highmark Medicare Advantage plans include access to UPMC hospitals and doctors and some don’t. About 50,000 seniors living in Allegheny and Erie counties have Security Blue and Freedom Blue plans, which include UPMC, Billger said. People with Community Blue plans, which don’t include UPMC, won’t see any changes, he said. About 17,000 seniors in Westmoreland County have Medicare Advantage plans that provide access to UPMC. “UPMC is grateful the Supreme Court expeditiously reached this decision, allowing seniors ample time to make the best choices for their health care,” UPMC spokesman Paul Wood said in an emailed statement. The change to networks coming in the middle of the plan year could create confusion for seniors who don’t know it’s coming, said Bill McKendree, coordinator for the Allegheny County APPRISE program, which helps seniors with enrollment. McKendree said the federal Centers for Medicare and Medicaid Services could decide to create a special window in which seniors losing access to UPMC doctors could switch plans after June 30. Or CMS might not do that, he said. “This is a big old question mark,” he said. UPMC Health Plan, Aetna, Cigna and United Healthcare have all sold Medicare Advantage plans in the region in previous years. Highmark owns Allegheny Health Network and includes its hospitals in its plan networks. Seniors may also elect to enroll in traditional Medicare, rather than the Medicare Advantage plans. The traditional program includes all hospitals and doctors in the country who accept Medicare. McKendree advises seniors considering traditional Medicare to think about getting a Medigap supplemental plan, which covers many of the co-pays, deductibles and other costs of traditional Medicare. McKendree said all hospitals and doctors who accept Medicare must accept Medigap. The state brokered the consent decree between Highmark and UPMC in 2014 to govern relations between them until 2019. The two nonprofits had been unable to resolve contract disputes on their own that arose after Highmark Inc. announced it was buying the former West Penn Allegheny Health System to form the basis of Allegheny Health Network. UPMC said it wouldn’t contract with an organization owning competing hospitals. 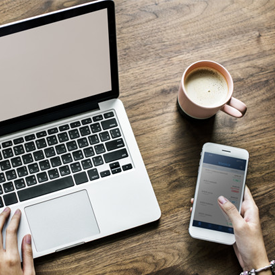 The Remote Agent Telephonic Enrollment (RATE) tool is a powerful, new feature that lets you enroll your clients by phone, after you’ve completed the initial face-to-face meeting with them. It’s available through the Ascend Virtual Sales Office app. To use RATE, you must have an iPad. You’ll also need to complete a short user training and quiz. Just contact us at 800-998-7715 to schedule a training session. Step 1: First, you meet with your client and provide the required sales presentation and materials. (Please note that RATE does not replace your one-on-one client appointments.) If your client decides to enroll sometime after that meeting, you can schedule an appointment to complete the enrollment by phone. Step 2: At the scheduled date and time, your client will call you on your unique RATE-specific 1-800 phone number. You’ll receive that call on your iPad. Step 3: Next, you’ll walk them through an approved telephonic enrollment script that’s built into RATE to complete the enrollment. The calls are instantly and automatically recorded. Save money — Enrolling by phone saves you from driving back to clients’ homes to complete their enrollment. You’ll save on gas, tolls and vehicle wear and tear. Save time — RATE helps shorten the sales cycle, so you can see more clients.